Abilify (Aripiprazole) is a drug which is an atypical antipsychotic drug used in treatment psychotic conditions such as bipolar disorder and schizophrenia. In combination with other medications it is used as a therapy for major depressive disorder in adults. It is also used in children 6 years or older who have Tourette’s disorder or symptoms of autistic disorder (mood swings, aggression, temper-tantrum, irritability, and self-injury). Scientists are not sure whether Aripiprazole is safe or effective in children younger than 13 with schizophrenia, or children younger than 10 with bipolar disorder. Although Abilify was one of the most bought medicine in the psychiatry and it did a lot for pharmaceutical companies, in most cases the drug either fails to treat the symptoms or people have issues with this drug’s tolerance. In addition to this, Abilify usage has severe side effects such as a high blood sugar, tachycardia, uncontrolled muscle movement, neuroleptic malignant syndrome suicidal thoughts and for some even the risk of death. Weight gain is a side effect that can occur in people responding well to treatment and may cause patient to discontinue treatment. Compared to other antipsychotic drugs, Abilify causes people on therapy to gain less weight. In any case, that is far from doctors reporting this drug as weight “neutral” and stating that it doesn’t affect the weight of a person taking it. Others suggest that gain which is considered minor and small to be linked to the drug is possible when on this medicine. Studies prove that most patients will eventually gain weight due to drug’s antagonistic effects which are achieved via 5-HT2C receptors. What Causes A Weight Gain? The exact cause of weight gain when on Abilify is different for everyone. Sometimes it is a combination of factors leading to weight increase. Antipsychotics have the potential to modify the mechanisms by which body storages fat, leading to more fat being stored in unwanted areas of the body and thus more overall weight gain. 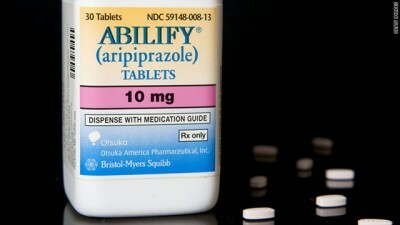 Some patients report an increase in appetite while taking Abilify in comparison to times when they weren’t on a therapy. They find themselves feeling constantly hungry which leads to overeating and constant snack craving. Some patients have reported excessive cravings for food, while other had lesser urge for eating, which depends on many factors. Effects of Abilify on a person’s motivation differs from case to case, some people notice that their level of motivation significantly wanes throughout treatment. This loss of motivation can leave a person not being interested in staying in shape or eating healthy, eventually resulting in weight increase. Uncontrollable influence over individuals psychology causes them to end up being lazy. If you are on an Abilify treatment, you may have noticed that you have the craving for unhealthy food such as sugar and refined carbohydrates which also includes fast food and other cravings. This is an important factor that could eventually lead to a weight gain. Abilify is also known for its ability to affect the hormonal levels in your body. This is also important for the metabolism and weight gain problem since the hormones affect the digestion and the speed of the metabolism. The balance gets disrupted and this could slow down the metabolism and result in significant weight change. Sometimes people notice weight gain while taking Abilify even though they were eating the same foods in same portion sizes. They were also getting the same amount of exercise during treatment as you were before taking Abilify. In these cases, weight gain was likely due to metabolic slowing. For many this is frustrating, but is generally accepted as part of treatment. Another thing that can cause the outcome of weight gain is the sign of the adverse effects on the body. People who are on Abilify tend to get sleepy, and feel fatigue. This can be pretty aggravating since a person can have difficulty in getting out of bed and doing everyday task. Since the individual is having a hard time to be active, this can lead to gaining weight. When symptoms of disorders are taken under control by therapy, people start to feel more comfortable in public and/or may even start hanging out with friends again. Being social and more comfortable with yourself could lead you to go out to eat more frequently. This is mostly connected to eating unhealthy foods and large portions. Naturally, this lifestyle is going to lead to weight gain. Abilify has been noted to affect levels of blood glucose or blood sugars. These deviations may foster weight gain in some people. It is, thus, very important to be aware of this side effect when using Abilify and keeping blood sugar in the normal range when checking throughout the treatment. Depression can cause people to avoid food while it doesn’t taste good. Abilify improves the taste of food and can lead to people not being able to stop eating. After you start to feel like your taste buds are receiving more flavor and you get excited about it, you will most likely want to eat more, bigger portions of food which has unavoidably more calories and the result can be weight gain especially merged with all of the factors mentioned above. Note: The severity to which these factors are experienced is subject to individual variation. For most people treating schizophrenia or bipolar disorder therapy dose of Abilify is somewhat from 10 mg up to 15 mg. The maximum dosage usually doesn’t pass the dosage of 30 mg which can be given to some of the severe cases. To sum up, the higher the dosage the greater the risk of a weight gain. As the amount of daily used drug increases, the influence over natural physiology is greater. If we review the drug’s effect on a body, it is obvious that a lower dosage is less likely to cause significant changes in our body, thus a lesser chance of weight gain. If you opt for “minimal effective dose”, your physiology balance will stay close to its natural state and won’t end up in weight change. You should be aware of the hormonal levels in your body and all of the other effect which can lead to weight change. It is not always to blame the effects of Abilify on body’s physiology when weight problems occur. Sometimes, the problem is the change in the person’s lifestyle which usually includes stress, excessive eating, poor activity, poor sleep, etc. All of these things are not caused by Abilify directly, but with the person’s behavior. There are other individual factors which can also contribute to weight gain occurrence such as genetics, metabolism, the age of a person, etc. There is a test which analyzes the markers in the genetic of a person and predicts the effects of a specific drug. It can show if a person will react positively to a drug or will it have some adverse effects such as the ones listed above. The name of this test is “GeneSight”. Studies show that certain medications are capable of causing increased weight gain while on Abilify. One of them are serotonergic antidepressant (SSRI) when taken along with Abilify likelihood of weight gain is greater than when Abilify taken alone. When on multiple medications, it is important to review them with a doctor to determine which may be the primary culprit for the weight gain. When taken with a stimulatory drug such as Adderall or a nonserotonergic antidepressant, Abilify may not cause weight change. Medications causing the stimulation of nervous system help offset the metabolic slowing that stems from antipsychotic usage. The longer duration of the drug usage, the more likely is for the weight gain to occur. If you are longer on a drug, it will have a greater effect on a body due to drug accumulation in the system. This will lead to higher weight gain and significant side effect. There are short term or long term effect, where the ones which are less than 6 weeks into a therapy will be considered short term and all of the others which can be counted in years are long-term ones. Short-term: This also varies from case to case. There are some cases where the person had immediate weight change in the early stages of treatment with no further change in the weight gain when it comes to long-term consequences. This initial weight gain will be lesser throughout the time. This initial weight gain can be in the first two months where some people have reported that they have gained over 20 lbs in just 60 days from the beginning. Long-term: Being treated over a long period of time generally results in a greater severity of drug-induced physiological alterations. This is the main reason why those who are on a long-term therapy suffer from greater weight change in compare to the ones who are just starting with the Abilify. From the dosage, hormonal levels to the individual factor and tolerance of a person depend on the drug’s effects during the time. The only way to predict whether a person is going to gain weight at all and to try to predict how much can it be is to use the drug for a while and evaluate and predict the weight changes during the time. This is due to individual factors and we cannot conclude this in advance. Although it is distinctive among different individual, there are some average numbers that we can talk about. The people who were on Abilify treatment testify that they gained weight from 5 lbs to 10 lbs per year and for those who had short term effects is more pronounced with about 40 lbs in the first 6 months of the therapy. It is also important to mention that there are other people who didn’t gain weight at all. So, considering all the factors which are included in the weight change, there are some predictions which can be determined at the beginning of the treatment. A doctor will assume that the patient can gain weight in an average of 10% of its weight. This is considered normal and you can use your weight to count the gain which you can get at the time. Let’s say you are 180 lbs at the beginning of the treatment. You can probably gain weight about 18 lbs, going up or down a bit, depending on all of the factors mentioned above. As already mentioned, although the drug can cause weight gain as adverse effects, some people will not experience weight gain. So, the doctor’s statement that is weight neutral will be correct among these patients, while among others will show some diversity. In rare cases, there were times where the patients have lost their weight over time due to probably individual factors. Considering all the factors, it is very important how you sleep, how you eat, how you manage your everyday stress, if you’re being active and which dosage are you on. Taking other medications simultaneously with the Abilify can modify its effects and worsen the weight effects. Before even starting a treatment with Abilify and during the process of taking it, it is very important for both doctor and patient to detect and measure improvement in managing the condition in comparison to side effects that may occur. Person wellbeing is the most important goal of any therapy. If there is a great improvement of symptoms with just a few adverse effects, it is best to continue with the therapy. In some other cases, if a person has gained a great amount of weight and his quality of life is not-much-improved, together with the doctor, a patient should discuss Abilify withdrawal and get the drug alteration. If you have some useful information considering Abilify, especially its connection to weight gain, please feel free to share it in comments below!